Anyone found a free delivery code for existing customers pls? Ah! I'll not proceed any further then - just put 4 items in the basket. 4 bucks for 1 buck.. Welcome! Great first post and generated some funny if rude comments! Heat from me. And a Yorkshireperson too!! Thanks for this. I bought 35 rolls for £7.00 to put away for the Christmas Fair at school next year. It's saved us a fortune so well worth the trip. Sutton Cheam Extra still had loads left when I went this afternoon. They had some gift bags for 20p each too, but I didn't see any of the crackers mentioned elsewhere. One of the rolls - blue with a Father Christmas design - is 10m, but most are 4m. I saw one design that was 3m. Stores in the North East seemed to sell out of this ages ago when it was still 50/75p! Anyone know any local stoes in the NE still with stock?? Pennies? Hardly. I got six rolls for £1 last year, and usually it would have been £12 full price. That’s £11 saved on just the paper, and not taking the tags, bows etc into account. Worth a punt for 6 quid, bought. Have some heat. I hope they have Gen Z, Baby Boomer and Millennial lights too! 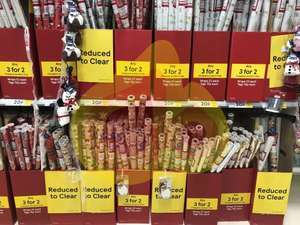 In store in the Range price starts from £0.50. Yea. Ex display Christmas tree and lights too. Including musical decorations and Christmas silhouettes? In the bargain bin... Quite literally. Couldn't you cut out the middleman and get the Chinese to dump them into the sea themselves? Hahaha, did you buy these just now from Whiteley poundland? buy 2 and get a .. LOL looks good too! Didn't mention any discount for members on the label . Thank you! (ninja) chimney sweeper for 90p it's a bargain. You can get a temp family card while waiting for your one through the post... not everything is discounted obviously for family! Half price in WHSmiths. Should be close to RRP now then. Horrendous pricing in that shop. Great offer at half price. I wonder if any other retailers are also offering a half price sale? Gotta love WHSmiths. Their sale is now nearing pre Christmas competitor prices :D .
Posted this the other day but now up to 50%, gets better every week. Good to save buying again next year! 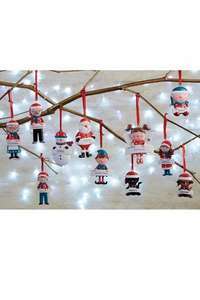 Never miss a 'Christmas Decoration' deal again! Good idea to snap them up while they’re in stock and stick them in the garage/loft for next year. Some absolute steals. Have posted this before but it keeps getting better - given this stuff lasts forever it seems like an absolute steal! Some of the trees are better than half price. Oos, gutted as would have liked these! Fraserburgh is the closest store returned from a central Scotland address. May help someone. If anyone one is in the zone:Haywards Heath Argos in SainsburysAddress: Bannister Way, RH16 1DGThey have it in stock. Posted this the other day at 30% off, now at 50% - some brilliant bargains here for last minute stocking fillers!! I've got this duvet in king size. It's warm and lovely and soft and fluffy. 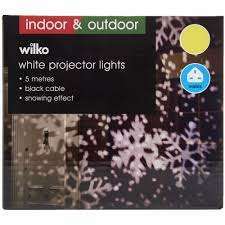 Half price on all Xmas decorations, xmas trees, led projectors. In store only. 8 metres extra wide.. Now that’s some massive wrapping paper. Good for that surprise car on Christmas Day! Or shed! Not really a good deal. 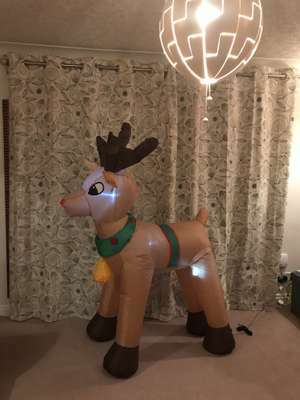 Poundstrecher had some 10m wrap for 69p the other day. Shelf full of the 120 lamp £2 lights in the Nottingham Riverside branch.